Miles of beach along the East Coast were eroded by remnants of Tropical Storm Ida. 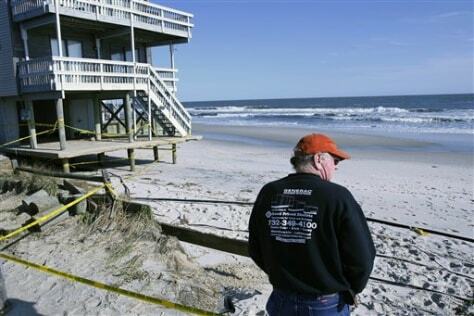 This beach-front home in Beach Haven, N.J., was among those undermined by the waves. In N.J. alone, damages are set to top $100 million.